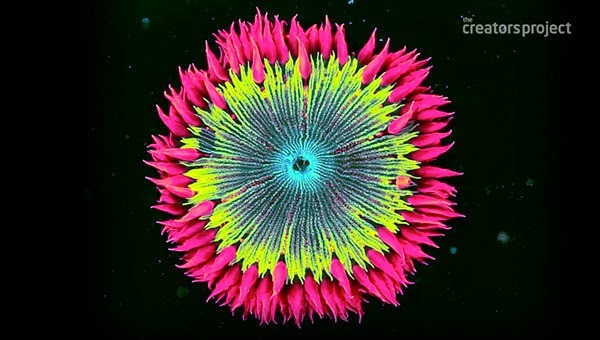 Fascinating look at the work of Coral Morphologic, a scientific art collective comprised of marine biologist Colin Foord and musician Jared McKay that explores the visual storytelling potential of coral reef organisms through film, multimedia and site-specific artworks from their coral aquaculture laboratory in Miami. The duo are not only artists but activists as well as they are part of a multi-faceted campaign to preserve Miami’s native corals. You can read more about Coral Morphologic here.